A little something different today. I've gone on a bit of a makeup shopping spree with all the holiday sets that have been coming out and I wanted to show one of them to you today. 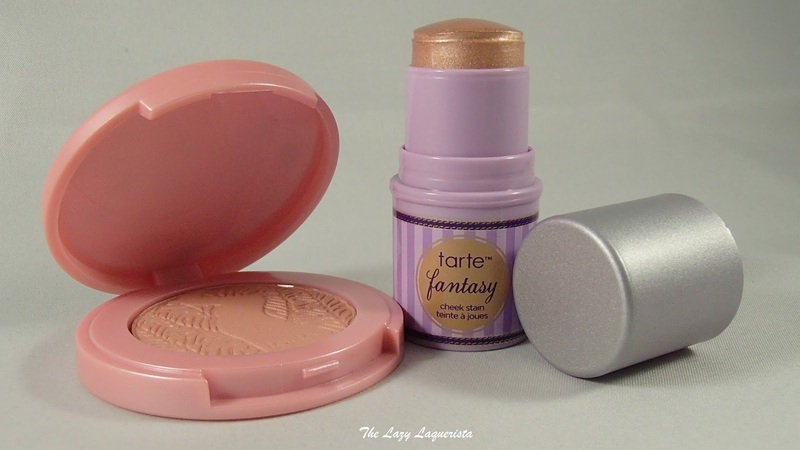 I've heard good things about Tarte's blushes and I love cream blushes so when I saw this little duo I had to have it. The Pigment Of Imagination set comes with a 0.05 oz Amazonian clay 12-hour blush in Mirage and a 0.17 oz Cheek stain in Fantasy. These mini sizes are a good way to try these product types without breaking the bank. In the packaging the Mirage Blush appears as a soft peachy pink. It has a nice subtle shimmer to it. 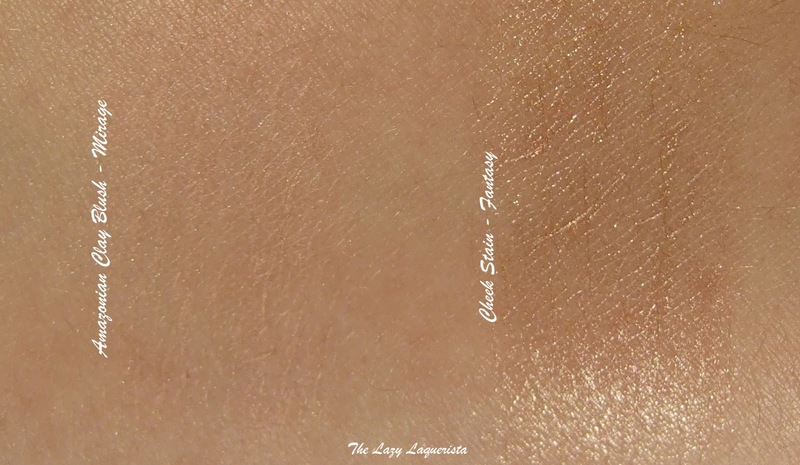 The Fantasy Cheek Stain is a very shimmery champagne beige. My only concern was how soft the 'stick' appears. Mine was kind of slumped to one side before even using it. Now for swatches! The blush was quite sheer. The swatch above took multiple finger swipes to get any colour to show. It is also very similar to my skin tone in terms of darkness so for me this will give a very subtle dewy finish rather than a highly pigmented blush look. I think it would show up more prominently on fair skin tones. The cheek stain feels very soft, creamy and moisturizing. It is very shimmery though so I wouldn't apply a lot of it at once. I think it would also make an awesome brow bone highlighter. 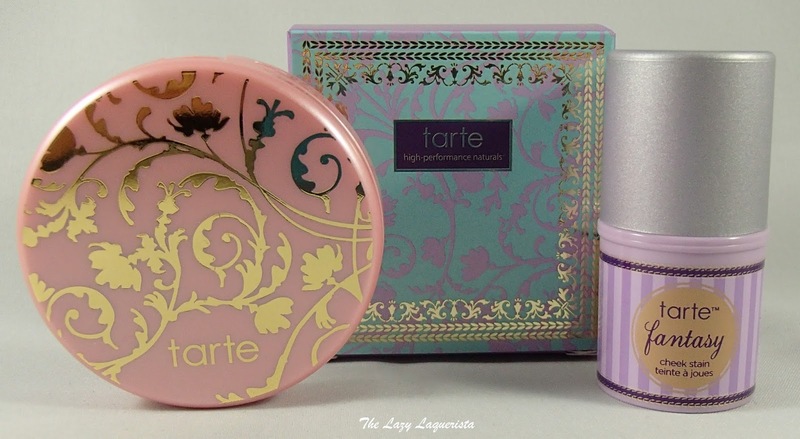 You can find this set at Sephora for $10USD/$12CAD or on the tarte cosmetics website . Wow that's such an amazing price! I think this type of blush would be great for a really subtle look if you wanted to look dewy like in the summer.